I was born in South Africa where I studied Fine Art at the Johannesburg Art Foundation. I feel very fortunate to have had a childhood in Africa, surrounded by the colour and rhythm of the African people. Though I no longer live there, the forms and textures of Africa are still very present in my work. For the last 18 years I have been working primarily in clay, using primitive methods of firing like sawdust and Naked Raku. Without using glaze I can maintain the tactile quality of the clay, something that is very important to me, because I want my work to invite touch as much as I want it to be visually pleasing. 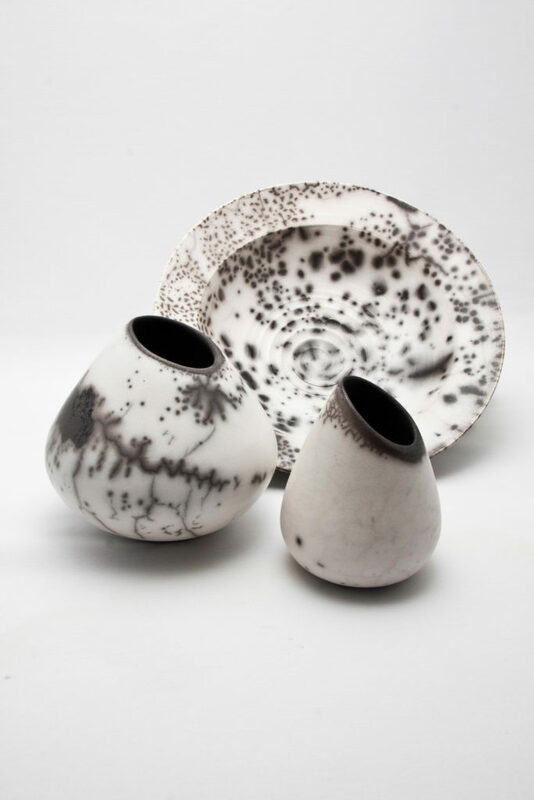 The raw texture of the clay and spontaneous markings created by the smoke firing during the Naked raku process, give my work a natural and almost stone-like quality. I have always been drawn to stones....their ageless beauty, strength and quiet presence gives a sense of peace and balance. 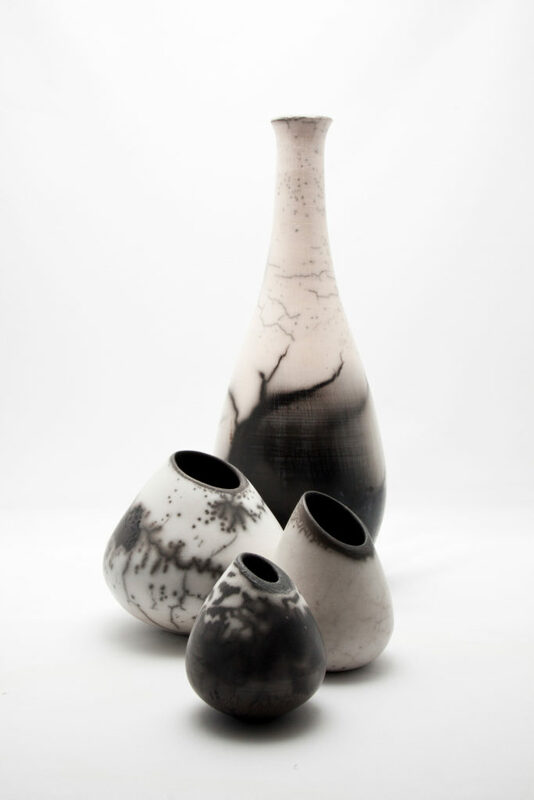 I love the relationship that Naked Raku has with natural stone. I try to simulate the textures and patterns that you would find amongst the rocks in riverbeds. To achieve these varied textures, I use five different types of clay. Some pieces feel like tumbled stones on a beach while others feel like they have been carved out of sandstone.